Do you snore or have sleep apnea? Oral appliances have a role to play in treatment. In many cases of snoring or sleep apnea, oral appliances can be used as effective treatments, particularly when sleep apnea is not severe. Oral appliances are custom fitted devices that fit on the top and bottom jaw and are worn during sleep to hold the lower jaw forward, which holds the tongue away from the back of the airway. These devices are called mandibular advancement splints. Dr Harry Ball (Dentist) of SleepWise and Dr David Cunnington (Sleep Physician) discuss the use of oral appliances for sleep apnea and snoring. 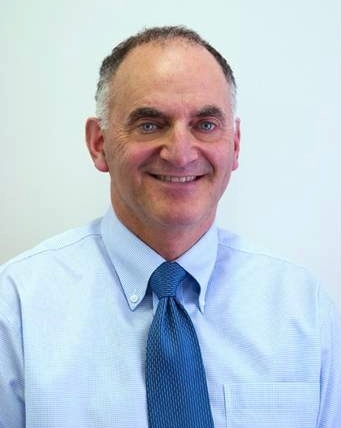 Dr Harry Ball, the founder of SleepWise Clinic, left his general dental practice in 1998 to follow his special interest in pain management at the Temporomandibular Disorders Pain Clinic at the Royal Melbourne Dental Hospital. It was there he started treating patients with oral appliances for sleep apnea who were referred to the clinic. Dr Ball developed a growing interest in the field of dental sleep medicine which led to the establishment of SleepWise Clinic in 2004. Now located in the CBD and with a co-located dental laboratory, the team at SleepWise are recognised as leaders in the use of dental appliances to treat snoring, sleep apnea and bruxism. What oral appliances are available? Dr. David Cunnington: Harry, you know I’m a big fan of oral appliances as treatment for snoring and sleep apnea. So if I’m going to send you someone, what would be the ideal candidate for that type of treatment? Dr. Harry Ball: It could be someone who has got at least five or six teeth and they’ve got some reasonable protrusion of the jaw and they’re the sort of patients that do pretty well. People who have got super severe sleep apnea or say greatly overweight. They may be 30, 40 kilos overweight. The appliance may not work as well. But often we do get patients where we have to treat because they can utilise CPAP or other forms of treatment. Dr. David Cunnington: Yeah, and the research shows that oral appliances are effective not only for mild to moderate sleep apnea. There are a couple of recent papers showing they have a really good role for severe sleep apnea as well. Dr. Harry Ball: Yeah, that’s what we find as well and especially if someone is severe and they can’t use a CPAP, especially if you’re combining – if losing a few kilos sleeping on the side. You can get really good results. Dr. David Cunnington: If one of my colleagues is looking at people in our clinic and having a look in the mouth, are there any particular features in the mouth we should be looking for that would give a good idea about getting a good response? Dr. Harry Ball: Not really. Apart from having teeth, I mean we’ve had people sent in who haven’t got teeth at all. So we always ask on the phone now. But if people have got – even if they’re missing all their top teeth and they’ve got a few lower teeth, we can make an appliance. So I suppose that’s just the main criteria and then we can assess them from a dental point of view. Dr. David Cunnington: So you’re able to fit appliances on an upper denture. Dr. Harry Ball: Yes, yes. So someone has got – I mean there are no problems if they’ve got partial dentures. But even with a full upper denture, then we can make an appliance over the denture usually. If someone has got no teeth at all, then you really can’t make an appliance. Well, these days people have implants and with implants, there are no problems. Dr. David Cunnington: So one of the important features of the device for – at least from my point of view is the ability for it to be adjustable, so that we can sort of move the jaw in and out, get a veering response. How does that work with the appliances? Dr. Harry Ball: Yeah, the adjustability is really important because the way the appliance works is it holds the jaw forward and because the tongue is connected to the lower jaw, then by bringing that jaw forward, the tongue kind of goes with it. It tenses muscles and so that degree of protrusion of the jaw is really important. If someone suddenly got mild sleep apnea, you usually don’t have to go that far. Someone severe, you will go a bit through with the forward. But often it’s hard to predict and it’s almost like there’s a sweet spot there and you don’t want to go any farther forward than you need to and you don’t want to do – not forward enough basically. So the adjustability is important just to get that sweet spot. Dr. David Cunnington: Yeah, and I talked to people about it. It’s a compromise between being too far out and maybe getting a little bit of pain in the temporomandibular joint, but far enough to get the effect that we’re after. Dr. Harry Ball: Yeah, and that’s another reason why it’s important that the appliance is adjustable because sometimes people are severe and they do need to go out a fair way, maybe 90 percent of the maximum forward position. But as long as they do it really slowly, most people don’t get any jaw problems at all. In the old days, when they weren’t adjustable, you just go out there and just take it in one go and then you can get some jaw pain and discomfort. Dr. David Cunnington: So how do these appliances actually work? Dr. Harry Ball: Yes. So the way they work, as I was saying before, they hold the jaw forward. So that’s probably the main thing that they do but the adjustability is important because everyone is going to be different in that regard. So that’s probably the main feature. So nowadays, the definition of an appliance is what’s called a mandibular advancement splint. There are other appliances out there without much evidence which push the teeth sideways, but really you want one that holds the jaw forward and that keeps the airway open. Dr. David Cunnington: In holding the jaw forward, what does that do to the spaces at the back of the airway? Dr. Harry Ball: Yes. So it just opens the airway up there. So it just creates more space in the back of the airway. In fact, I can show you here, this is going to be a useful picture to look at. It’s sort of X-rays you can take these days and you can see here on the left. This is the person with their jaw in the normal position and when this patient holds the jaw forward on the right here, you can see how the airway has gone from 4.25 to 12 millimetres. Now this is a patient going maximally forward. You usually don’t have to go that far forward. But that just shows you how it works and as the airway opens, the snoring tendency is greatly diminished and the same with the apneas. Dr. David Cunnington: So can you just show us how a couple of these devices work and how you might advance them? Dr. Harry Ball: Yeah. So there are a lot of different appliances on the market. Most dentists who are experienced in the field are using maybe three or four different appliances where there are good studies. This is one. It’s called the Dorsal. This is probably one – the main ones we use. So all the appliances have got an upper and a lower and obviously we make it as thin and small as possible because it’s really important that people wear it. We can have great treatments. But if people don’t wear it, then it’s not going to work obviously. So they’re very thin. Fortunately with the modern day materials, we can make them really thin and strong. So it fits over the top jaw like that. You can see it’s kept well away from the gums and then we got a low one and they all have a way of holding the jaw forward. So with this particular device here, there are wings on the side, which stops the jaw – the jaw wants to be back a bit further and it just sits in that position there and then you can put a key. There’s a mechanism here and you just put a key in the side and you can just bring the jaw forward by just moving a segment here forward on both sides. So just do that very slowly. So people might do that over a month or so. Dr. David Cunnington: How far does each turn if you’re moving at one turn? Dr. Harry Ball: Yeah. So each turn is only about 0.2 of a millimetre. So we just say go very slowly. We might start with the jaw a little bit forward and every appliance you see here has all got a different way of holding the jaw forward. This is another appliance that we use called the Silensor. As you can see, it’s very, very thin. So you probably can’t get a thinner appliance than that and then the way you bring the jaw forward is that you take these connectors off here and as you take them off, you put a shorter one on, which brings the jaw forward. So you get an array of those. So every appliance here has just got another way of holding the jaw forward. So they’re all effective but the reason we make this appliance more than any other one is that it’s the only appliance which isn’t connected at all. So the patients can just open and close and talk and sip water and things like that. Dr. David Cunnington: When might you use the Silensor type device? Dr. Harry Ball: Yes. So I might use this appliance if the patient has got mild sleep apnea and if they’ve got a very sensitive mouth. All the patients we see have got really small mouths and that’s why they’ve got sleep apnea. There’s not a lot of room for anything. So we can make this really thin, maybe a millimetre thick, millimetre and a half. So we might use that in that situation and if someone is a really strong clencher and grinder, which a lot of people are if they’ve got sleep apnea, then we might use something like this appliance here, which you can see is very robust. It has got some stainless steel arms here which can allow movement from side to side. You can still adjust it, so it can bring the jaw forward just by putting the key in there and just turning it, going like that. So yeah, so I think it’s important for a dentist to have an array of appliance and just choose an appliance that’s appropriate for that person. Dr. David Cunnington: And with using this type of appliances, are there any problems to look out for or things people should be aware of? Dr. Harry Ball: Yes. So most people adapt really well. If you don’t start with the jaw that far forward, you really – people don’t have any pain at all. But just the mouth is a sensitive place. So generally they’re aware of having something in the mouth for a couple of days, get a bit of extra saliva maybe for a week or so. But if it goes the way it does for most people, they usually don’t have any discomfort at all. Sometimes people are strong clenchers and if you go a bit too far forward – sometimes people are keen to get rid of that snoring. So they just crank it forward, gets our instructions and they might get a sore jaw for a day or two. But you can usually overcome that pretty easily. Dr. David Cunnington: Great. Thanks very much Harry. Dr. Harry Ball: OK, thanks David.